Please be advised that as of April 16, 2019, Sami’s Makolet, located at 511-515 N. Fairfax Avenue, Los Angeles CA, is no longer certified by OK Kosher Certification. 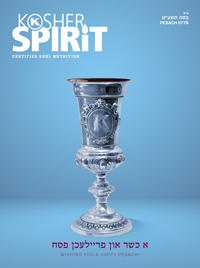 Poughkeepsie, NY 12603 is no longer certified by OK Kosher Certification. Please be notified that as of today – March 1st, 2019, Vish located at 103 N. 3rd St, Brooklyn 11249 is no longer under OK Kosher supervision. Please be advised that 7-Eleven stores are displaying an unauthorized OK kosher symbol on Chai Tea Latte signs above hot beverage dispensers. OK Kosher Certification does not certify any 7-Eleven retail locations or products prepared on premises. Corrective actions are being taken. Please be advised that Red Straw Tea Bar locations of Los Angeles, CA 90067 (Westfield Century City, and Cypress Village Shopping Center) are displaying an unauthorized OK Kosher symbol on menus. 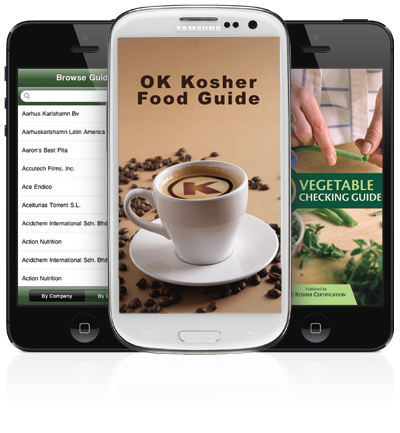 These establishments are NOT certified by OK Kosher Certification. Corrective actions are being taken. As per recent investigation, the OK has been finding high levels of insect infestation in dried goji berries. Until further notice, dried goji berries are not recommended, even when bearing the OK kosher symbol, unless in powder form. If they are intended for consumption in another form, a competent rabbi should be consulted. Please be notified that as of January 28th 2019, Hippocrates Health Institute in West Palm Beach, Florida, is no longer certified by OK Kosher Certification. Please be advised that Thrive Market Beef Gelatin of Thrive Market Marina Del Rey, CA 90292, bears an unauthorized OK symbol on the packaging. This product is NOT certified by OK Kosher Certification. Corrective actions are being taken. Please be advised that MCT Oil Powder, Keto Coffee, Keto Rise, Keto Cocoa – Various Flavors, Keto Exogenous Ketones Powder – Various Flavors and Collagen Complete Hydrolyzed Collagen Powder of Giant Sports International Manasquan, NJ 08736, bear an unauthorized OK Kosher symbol. This company and their products are NOT certified by OK Kosher Certification. Corrective actions are being taken.